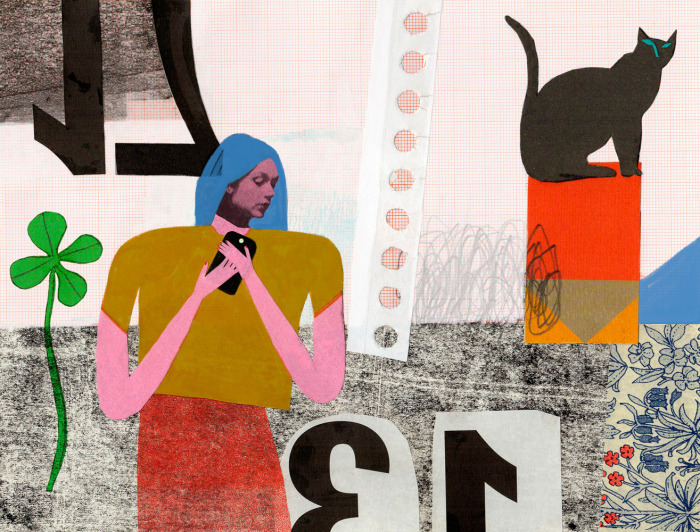 Here’s another interesting article illustrated by IRENE SERVILLO for Futura, Corriere Della Sera Newsletter pertaining to technology and kids, particularly teenagers. The article talks about the comeback of the superstitious chain messages that bring you luck or bringing you bad luck if you break the chain. The article written by Paolo Di Stefano speaks of his 11 year old daughter and the dangers for teenagers with regards to their smartphones & as a parent how to protect them and give them the right rules of usage.